Former Spitfire pilot Sid Cleaver. Nothing has ever come close to flying the Spitfire for former RAF pilot Sid Cleaver. This beautiful aircraft was simply “perfect” for the now 92-year-old, who first climbed inside the cockpit when he was just 20. It’s a moment the father of three, from Evesham, who got his pilot wings in February 1943, has never forgotten. 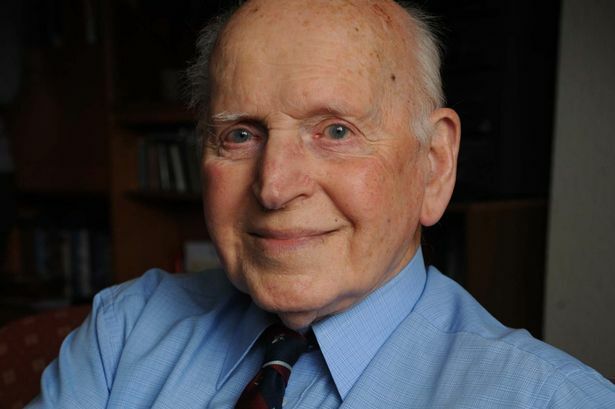 He clocked up 246 hours at the controls of a Spitfire over Egypt and India in the Second World War . “I was in Cairo in 1944 at Fayed Air Base’s Operational Training Unit, near the Bitter Lakes, at the start of my advanced flying course when I first saw the Spitfires and I remember thinking ‘Wow, I’ve made it’,” he said. “It was quite a walk from the railway line, where my group had arrived, to the airfield but when we got to the first hangar we saw the door was slightly ajar and we all rushed to look inside. After being called up in January 1942 and completing his advanced pilot training, he was sent to India. Joining 607 Squadron he found himself facing the Japanese. Mr Cleaver said: “I arrived at my base in the Info Valley, in Odisha, at night, so it wasn’t until the morning that I first saw the airstrip. “I explained that I’d just arrived and I was replacement pilot. He asked me if I was Cleaver, and I confirmed I was. The chap replied ‘You’re going to be my Number Two then’. “When I asked who he was he said: ‘I’m Flight Lieutenant Noble, I’m a flight commander’. I thought golly, I’m going to be a Number Two to a flight leader, I’m going to be leading the whole of the team. “The Spitfires I flew at Fayed were Mark V but these were the Mark VIII . It was a bigger engine, about nine inches longer, which is why they had to lengthen the nose to accommodate it. During his time in India he would have more than one brush with death. Mr Cleaver explained: “I remember one day we were given a ground target where it had been reported was full of Japanese. “We had to keep circling around the area, like the old Red Indians, and every now and then we were to fly down towards them to draw their fire, taking it in turns to divert their fire. “As we were going down all the fire was coming on and on right at you, but that was our job. We’d go down from different directions each time, never from the same spot otherwise those firing on the ground would have been ready to fire on us. He added: “Flying the Spitfires was terrific. I was very proud to have been selected in the first place to be an RAF pilot, and then over the moon to be a Spitfire pilot – well they were British machines.